The Jett Travolta Foundation shall endeavor to use its resources specifically to assist and provide relief to children with vision, hearing, mobility, communication, behavior learning impairments or other special medical, environmental, health or educational needs. It may also use its resources, and make grants to educate the public about the need for a clean environment, provide relief and assistance to children who are victims of natural or man-made disasters, and to fund children’s educational programs. 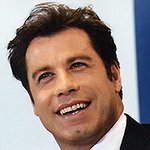 Check or money orders can be made out to: Jett Travolta Foundation, Inc.
Google trends for "Jett Travolta Foundation"
We don't have any videos related to Jett Travolta Foundation.